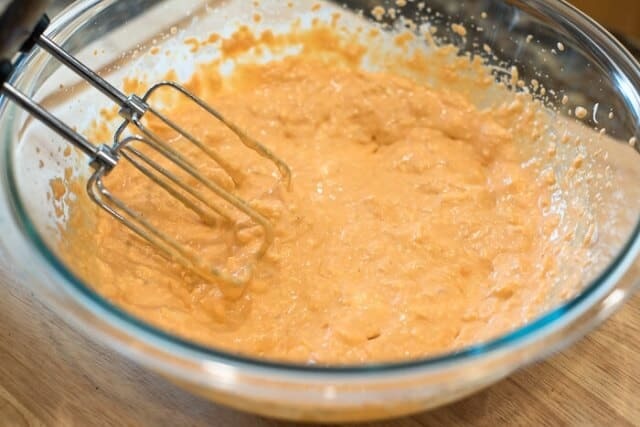 This warm, creamy dip is packed full of the flavor of buffalo wings. The flavors are big and bold and keep you coming back for more. 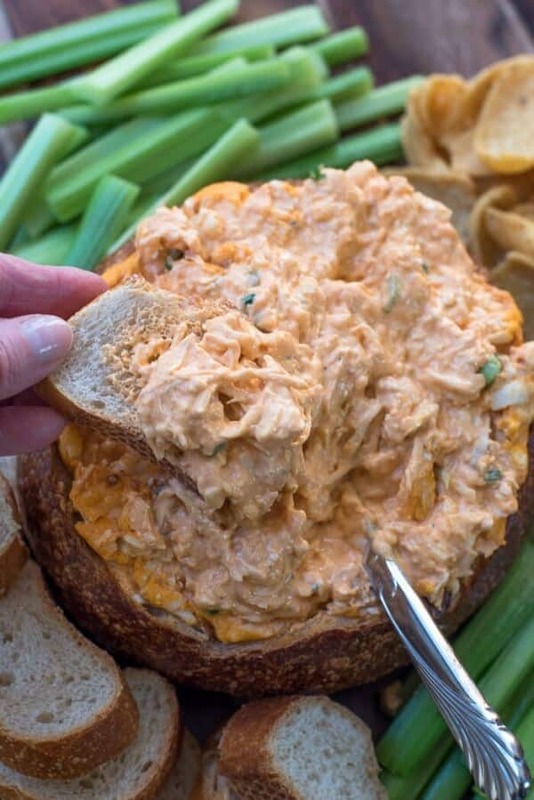 Buffalo Chicken Dip is always a huge hit at gatherings and has long been a family favorite. 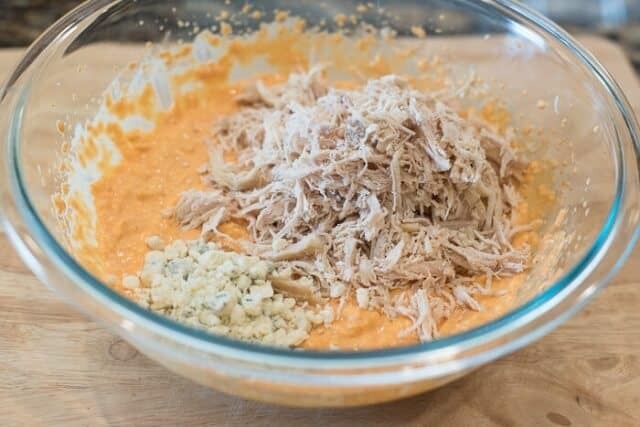 Today I’m sharing my version of Buffalo Chicken Dip – the crazy, delicious dip recipe from the folks at Frank’s Red Hot. 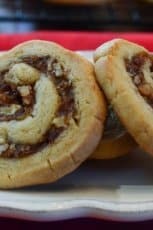 Their recipe has definitely made the rounds and one thing is certain, it is a guaranteed crowd-pleaser. People honestly go nuts for this stuff. My version is a bit different than the original and I’m going to tell you just how I do it. 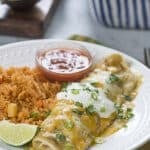 It’s on my no-brainer, tried and true list of recipes that I love to pull from when I’m cooking for a crowd. 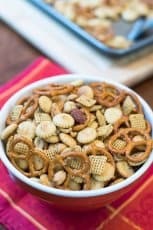 It would be absolutely spot-on perfect for New Year’s Eve so I wanted to get the recipe out to you pronto, in case you’re still looking for some appetizer inspriation. 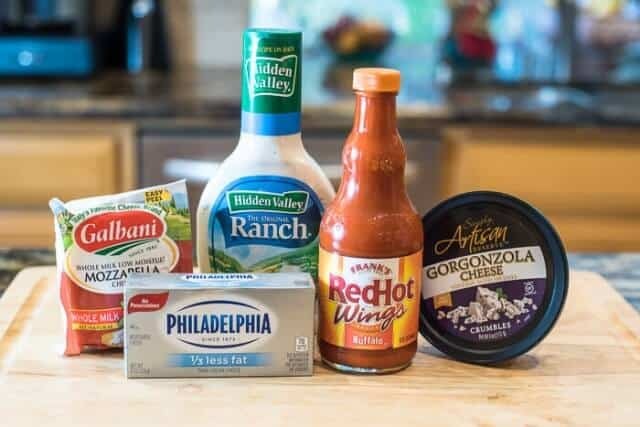 The combination of Frank’s Red Hot sauce, Ranch dressing, mozzarella, shredded chicken, and just a touch of blue cheese gives it all the flavors of buffalo wings but it’s fast and easy to put together and definitely less messy to eat. 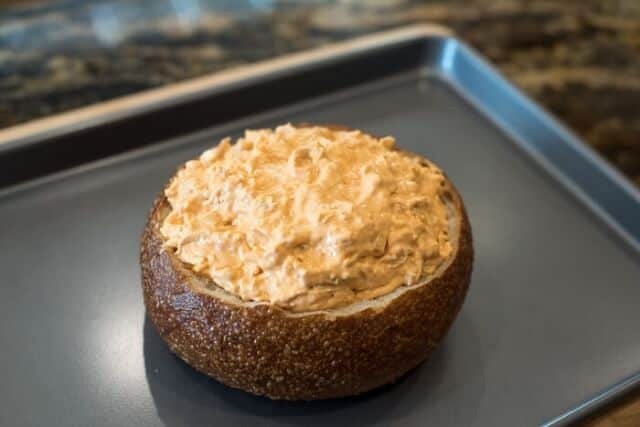 You won’t even have a dish to wash if you bake it in a bread bowl. Since it’s the holidays and all, I wanted to share a couple of family photos with you. My guys! I gather them together each year for a photo shoot which has become harder and harder to do each year. 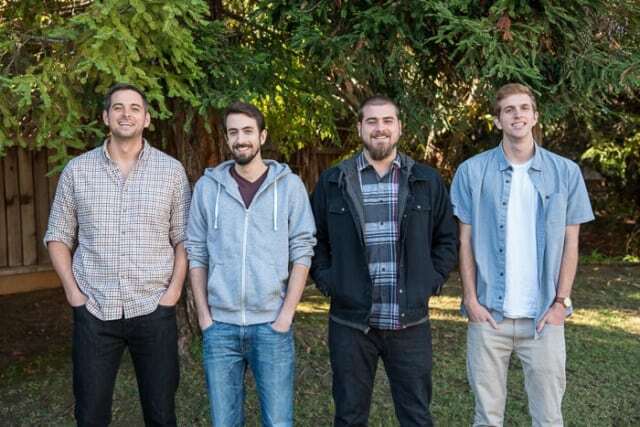 They are in order by age from left to right – Ryan (Boy #1), Jake (Boy #2), Connor (Boy #3), and Adam (Boy #4). If you’ve got little ones in your house, hug ’em tight and enjoy those babies. I know you hear this all the time but it goes so incredibly fast (for real) and soon you’ll be the parent of adult children. I miss my little people, but these big folks are pretty awesome. 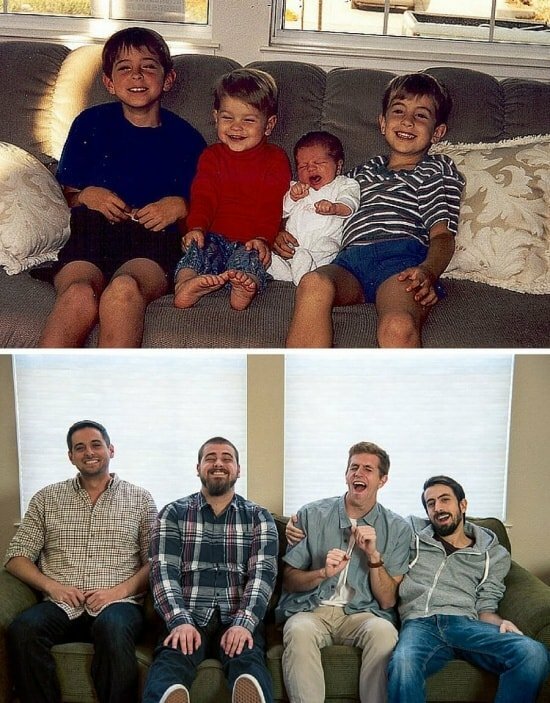 We got a little nutty, as we tend to do when we all get together, and re-enacted a photo taken shortly after Boy #4 was born. I can’t look at this photo without bursting out in laughter. I was photo editing and laughing for days! All four of them are crazy for this dip and so is their mama. 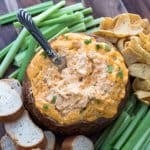 We had 15 for dinner on Christmas Eve and Buffalo Chicken Dip was front and center on my appetizer menu. When it was time to serve dinner, I had the genius state of mind to wrap the bread bowl in plastic wrap and pop it in the fridge. The next day we warmed the bread bowl with the small amount of remaining dip and tore that sucker apart. There was not a scrap left. It was delicious and it was gone! Why do leftovers taste so amazing when you’re in your pajamas on the couch day after a big to-do? A couple of quick ingredient notes before we start cookin’. 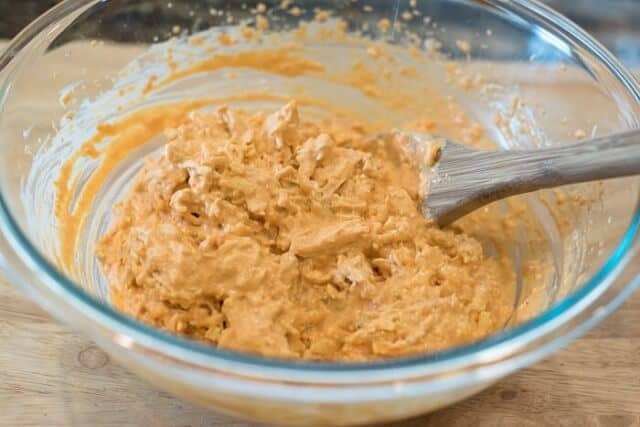 Let’s not even pretend that this is a light recipe, however, whenever making creamy, cheesy dips like this one, I always use the lower fat Neufchatel cream cheese. Every little bit counts, right? Pick up the Frank’s Red Hot Wings Buffalo sauce pictured above to get the true buffalo wings flavor we are after. I honestly don’t think there is any substitute for Frank’s! This is honest-to-goodness, unsponsored, and unsolicited love here. There are several varieties so be sure you pick up the right one. 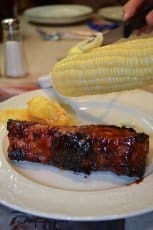 It does add a bit of heat but it’s really mostly about flavor. I’d say the dip is about a 3 out of 10 on the spicy scale. Any type of crumbled blue cheese will do – I went with Gorgonzola. 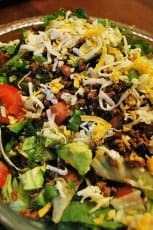 Combine the cream cheese, a heaping cup of shredded mozzarella, 1/2 cup of bottled Ranch dressing, and 1/2 cup of Frank’s in a large mixing bowl. 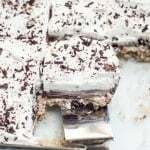 I use an electric hand mixer to quickly combine this mixture until creamy and smooth. Add 2 cups of cooked, shredded chicken and 2 tablespoons of crumbled blue cheese. 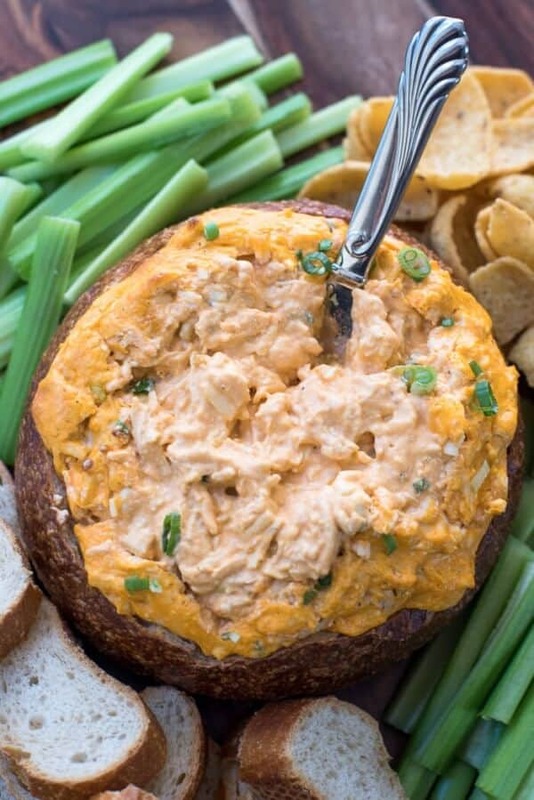 Blue cheese has BIG flavor and this amount adds a nice flavor complement to the dip without overpowering it. 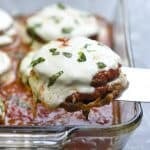 I’ve seen recipes that call for up to 1/2 cup of blue cheese but I believe using less keeps it a far more crowd-friendly dish. 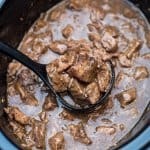 This time I used my own cooked chicken (see recipe below for directions) but I’ve also done it with rotisserie chicken and even canned chicken with a good result. If you can get your hands on a roti chicken, I highly recommend it for the convenience. Use a wooden spoon to combine the mixture. 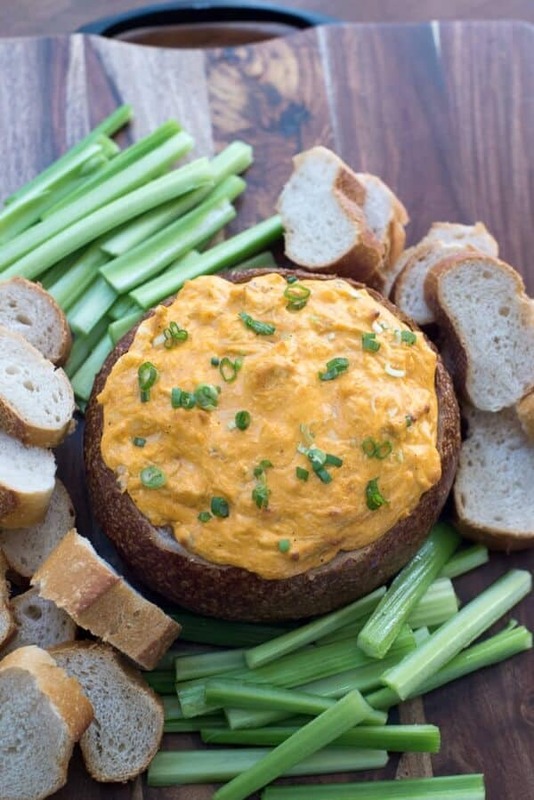 If you bake the dip in a bread bowl, the entire thing becomes edible. Use a sharp knife to cut out the center of a one pound round loaf of bread and dig out the contents with your hands, like so. Once the majority of the dip has been consumed it is only a matter of time before folks will start tearing apart the bread bowl. I think that may be the best part! 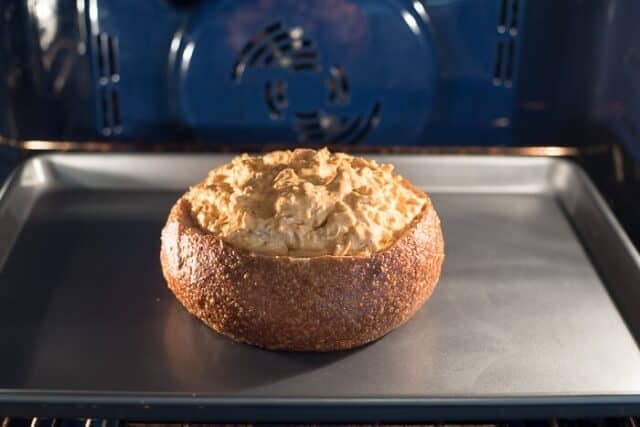 Transfer the dip to your bread bowl and place it on a baking sheet. If you prefer, the dip can be baked in a baking dish. Transfer the baking sheet to a preheated 350 degree oven and let the dip bake for about 20 minutes, or until heated through. Garnish with a little green onion and serve. It’s delicious spread on sliced baguette, with celery dippers and we love it with Frito’s Scoops. This warm, creamy dip is packed full of the flavor of buffalo wings. The flavors are big and bold and keep you coming back for more. 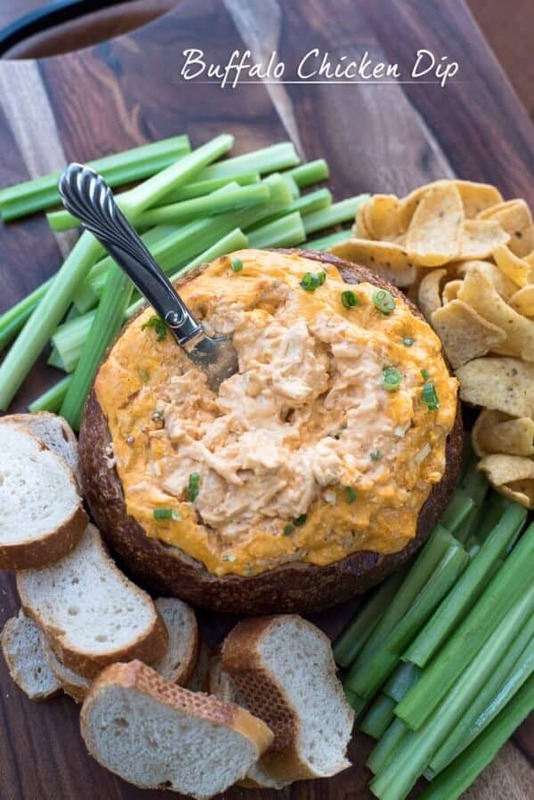 Buffalo Chicken Dip is always a huge hit at gatherings! 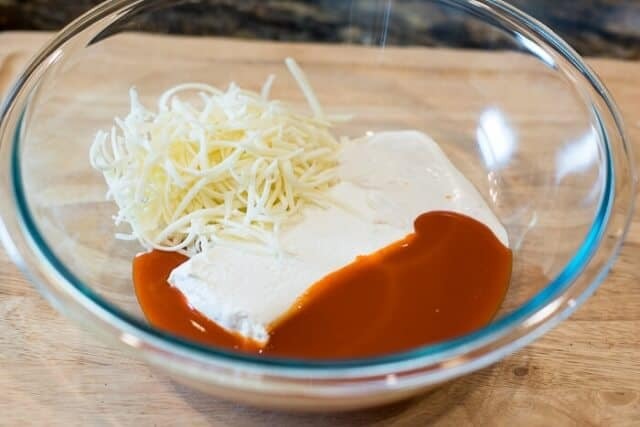 Use an electric mixer to combine cream cheese, mozzarella, Ranch, and Frank's. Use a spoon to stir in the blue cheese and chicken and mix until well combined. 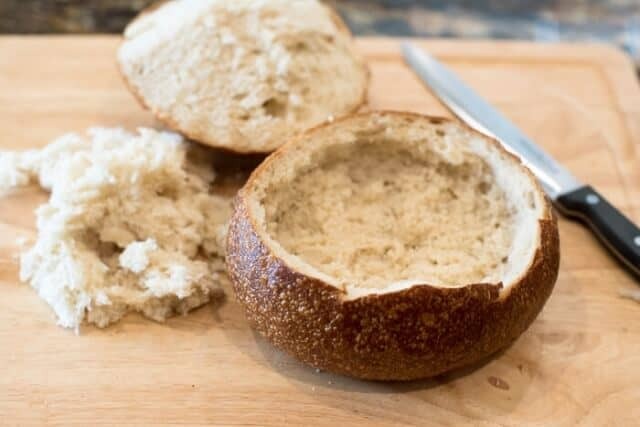 Cut the center out of your bread round and use your hands to pull the bread from the opening to create a bowl. 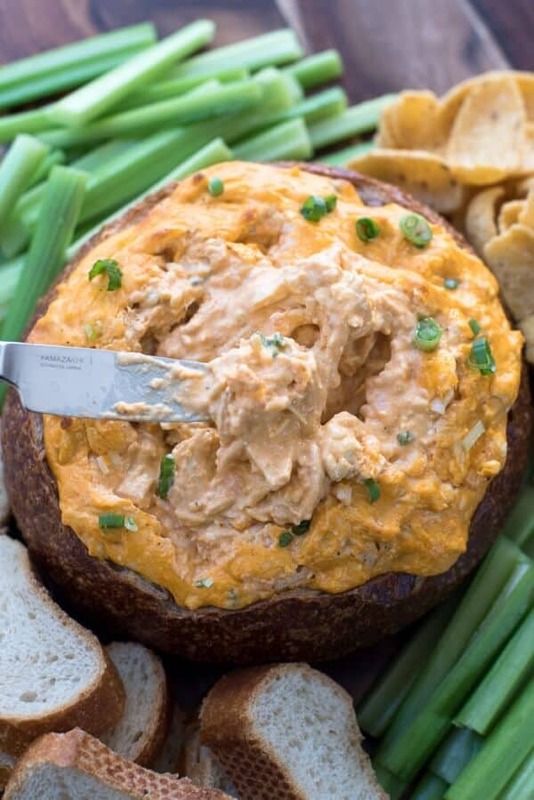 Spoon the dip into the bread bowl and place it on a baking sheet. Alternatively, you can spoon the dip into a baking dish. Bake for 20 minutes or until it is hot throughout. 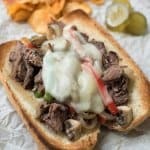 Serve with sliced baguette, celery sticks, and/or Frito's Scoops. My preference is to use rotisserie chicken or make my own. 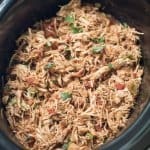 To make your own shredded chicken - coat a saute pan with vegetable oil and place over medium-high heat. Add 2 boneless, skinless chicken breasts and cook for 2 to 3 minutes on each side, seasoning with a bit of salt and pepper as they cook. Reduce heat to medium-low, add 2 cups low-sodium chicken broth, and cover pan. Allow chicken to cook for about 30 minutes or until cooked through and fork tender. Remove from heat and transfer to a cutting board to cool. When cool enough to handle, use two forks to shred the chicken.